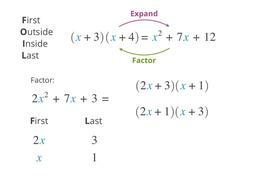 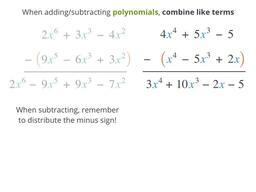 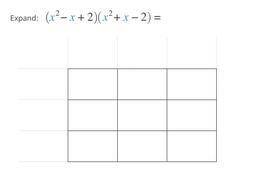 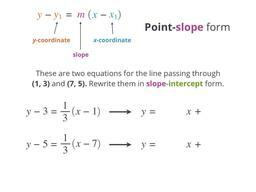 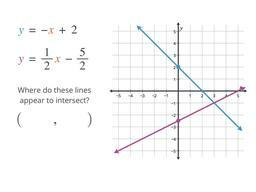 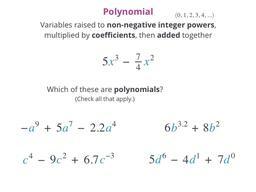 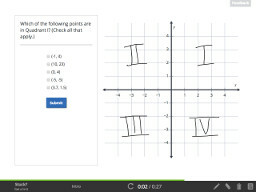 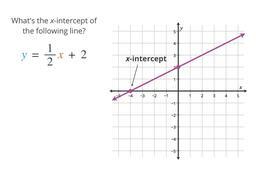 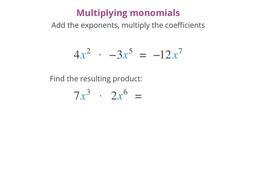 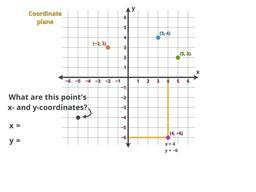 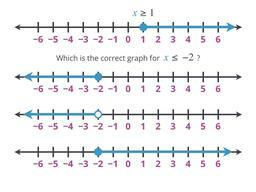 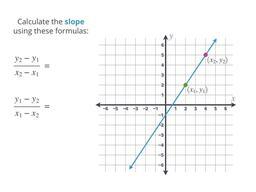 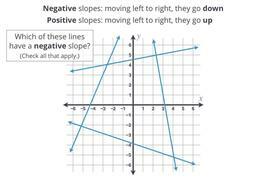 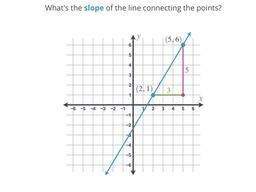 Learn about functions, graphs, lines, and polynomials. 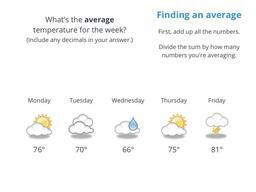 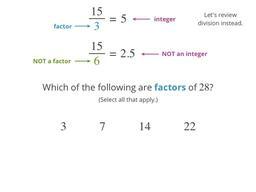 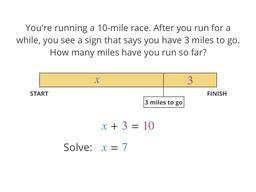 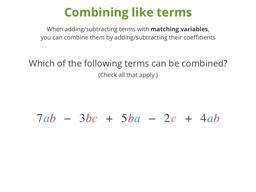 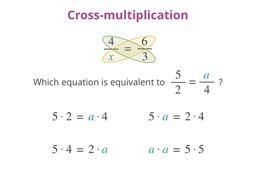 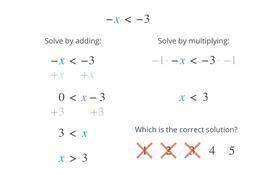 "Algebra" is the math for describing how different things are related. 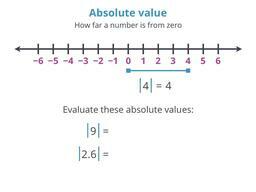 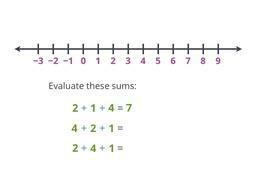 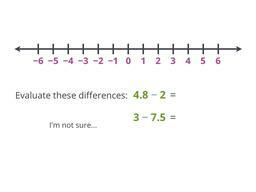 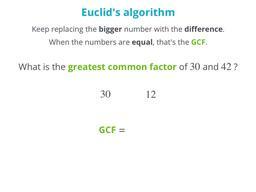 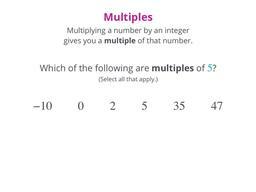 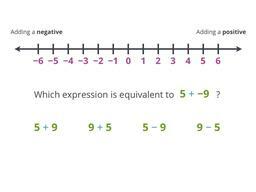 What happens when you add negative numbers? 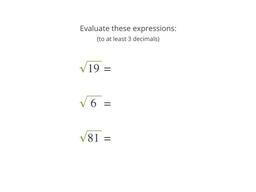 Is there more than one way to evaluate an expression? 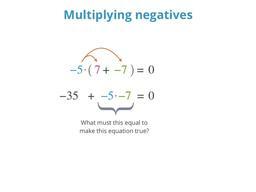 What happens when you multiply negatives together? 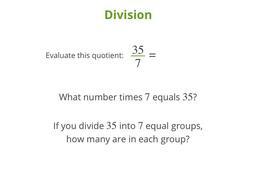 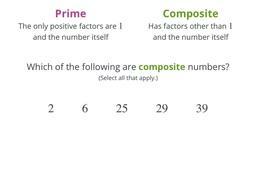 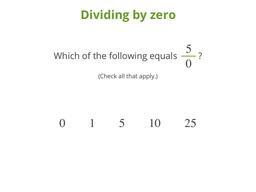 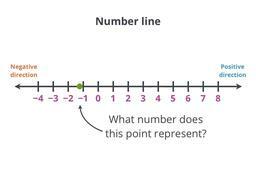 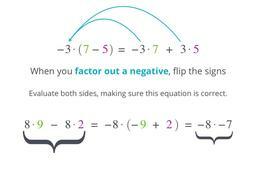 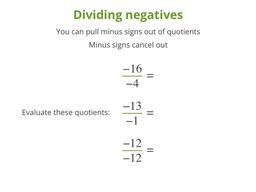 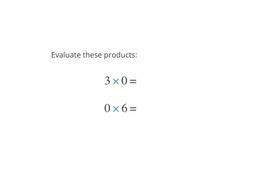 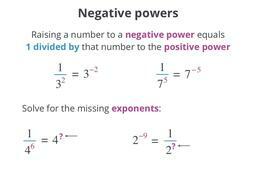 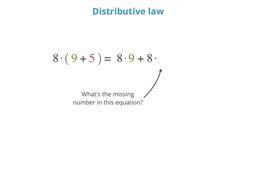 What happens when you divide negative numbers? 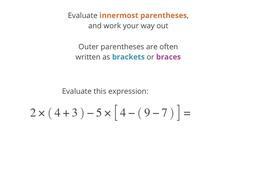 What to do when you have too many parentheses! 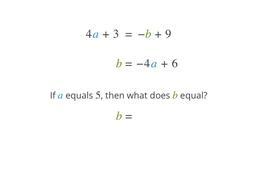 What's 1/2 times 3/5? 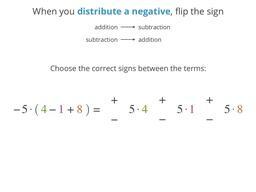 Learn the trick in this lesson! 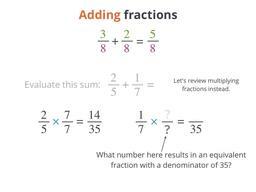 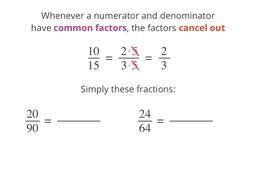 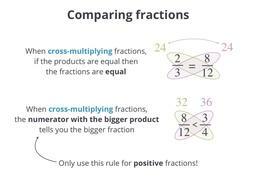 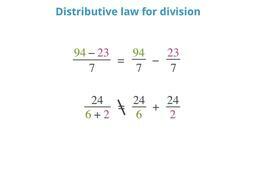 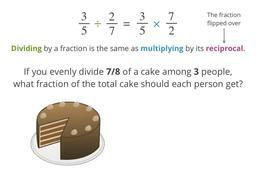 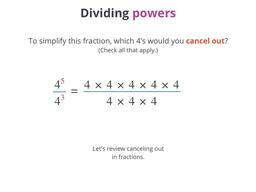 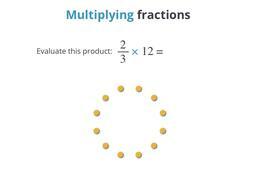 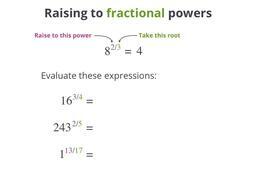 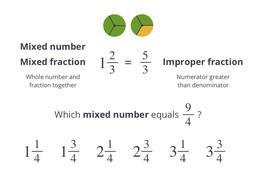 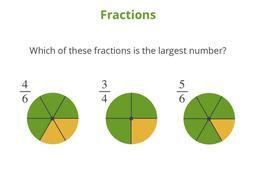 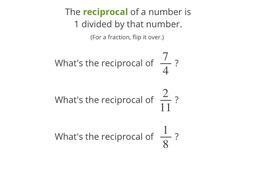 Dividing by a fraction is really multiplying by its reciprocal! 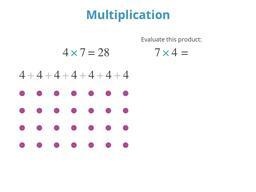 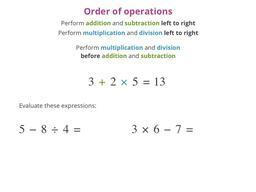 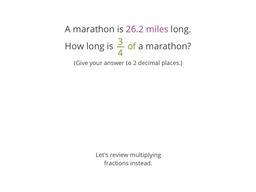 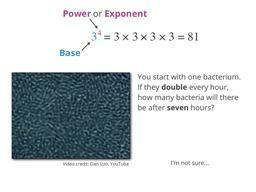 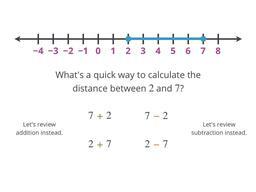 It works for multiplication and division, but that's it! 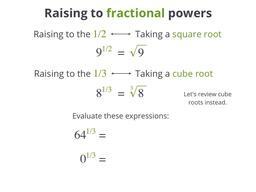 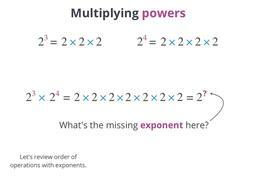 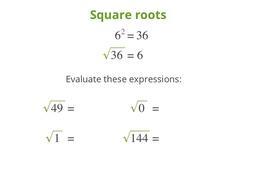 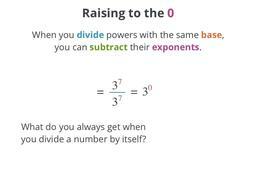 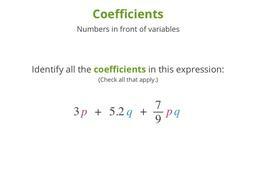 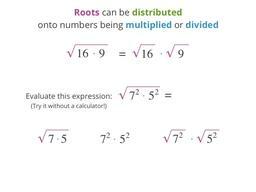 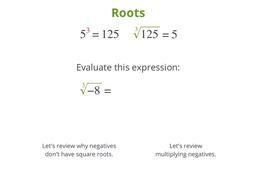 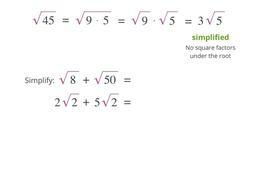 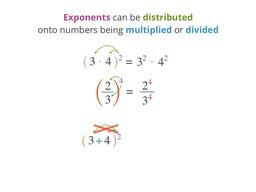 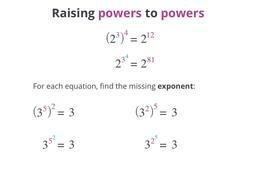 Roots are also exponents, so the same rules apply! 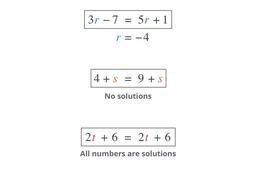 Sometimes it takes more than one step to solve! 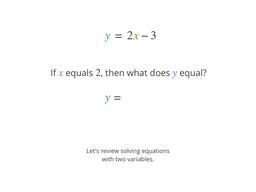 Sometimes two equations have no solutions, or many! 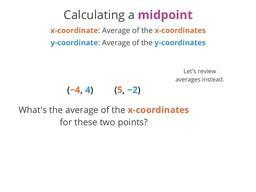 Given two points, which point is exactly halfway between? 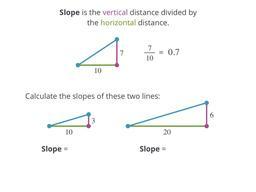 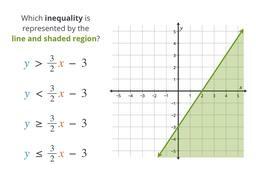 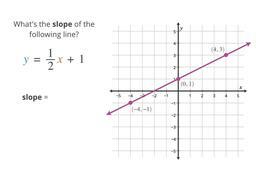 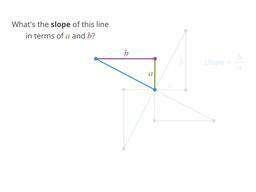 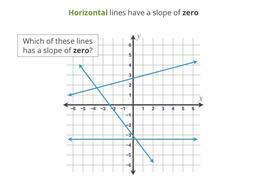 What are the slopes of horizontal and vertical lines? 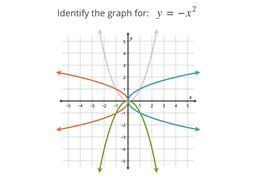 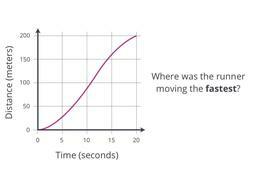 Turn an equation into your very first graph! 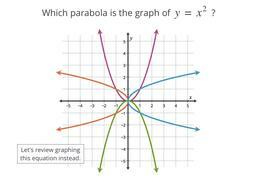 Forget equations, let's just look at the graphs! 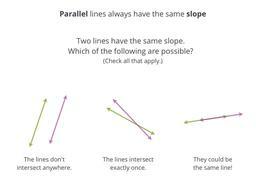 Given two lines, can you determine where they cross? 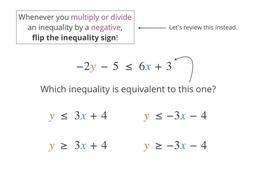 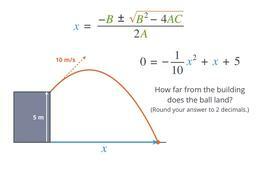 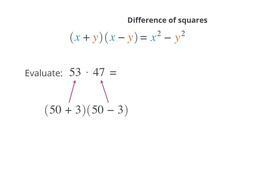 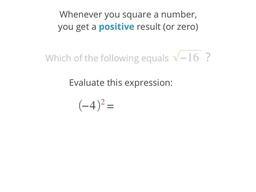 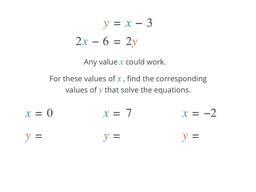 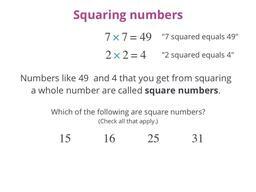 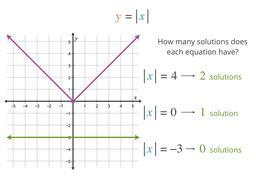 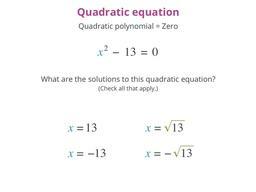 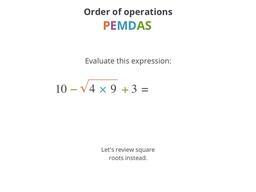 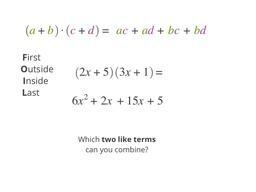 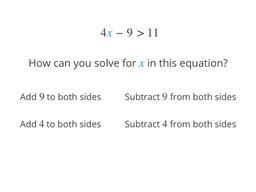 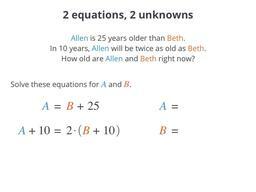 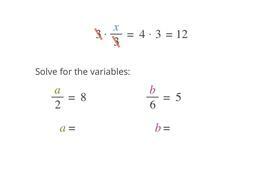 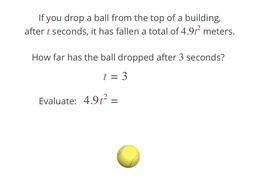 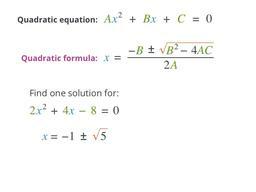 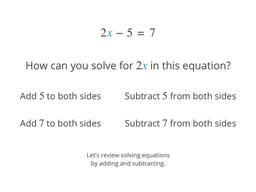 A method for solving ANY quadratic equation!